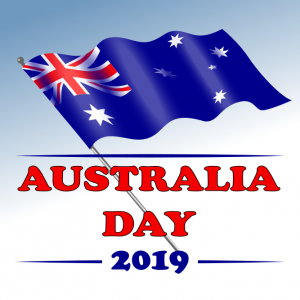 THE local Australia Day observance in New Norfolk will be held on the Derwent Esplanade this Saturday, January 26, with free activities and entertainment for all ages. The day kicks off at 10am when the annual fun run and walk gets under way. Entries will be accepted on the day or you can register at tinyurl.com/AusDayRun2019. There will also be free family activities, jumping castle, face painting, live music and the Lions Club of New Norfolk sausage sizzle. Refreshments will be available for purchase. The official proceedings will start at noon, with the local Australia Day Awards ceremony and an address by Australia Day Ambassador Mitch McPherson. The final event will be the colour run at 12.30pm - wear white clothing and register on the day to join in the fun. The New Norfolk and Bushy Park swimming pools will both offer free entry, a sausage sizzle and Australia Day fun and games, from 10am on January 26.